With so many heroes making appearances in Captain America: Civil War, it’s not surprising that the, well, smallest of them would tend to be overlooked. While we knew that Paul Rudd and Ant-Man, the newest addition to the Marvel Cinematic Universe, would be part of Civil War, it’s only recently that we’ve begun to actually see the character in the marketing. Now, we’ve had our first clear look at the Ant-Man suit and it appears to have received some upgrades. According to ToyArk.com, this is what a new Ant-Man figure will be looking like as part of the toy collection associated with Captain America: Civil War. A few of the differences are minor. While the general red and black color scheme is consistent, there are some new splashes of red on the legs and some new black shoulder pads for some reason. The biggest change is to the helmet. Rather than simply having small antennae, the helmet now has larger "wings" coming off of it. While these changes might appear to be cosmetic, it’s possible that they’re actually much more than that. A couple of months ago we saw the release of another new toy, a Funko Pop figure of Giant-Man. While we didn’t think much of it at the time, looking back we now see that the figure uses all of the same changes that this figure does. It’s possible that these differences aren’t simply a cosmetic evolution of the outfit but rather, this could be a different suit. Could this be reinforcing the idea that we’ll be seeing Giant-Man as part of Captain America: Civil War? Comparing the above to the version of the character we saw in Ant-Man makes a few of the differences more clear. Toys have become a new way to dig up information on movies that are not yet released. They have introduced us to the villain of the new Ghostbusters movie, as well as given us the information that Wolverine 3 is looking at making an R-rated film. As toys need to be designed early in production in order to be completed in time to be released alongside the film, the creators get access to the details that many of us are looking for. 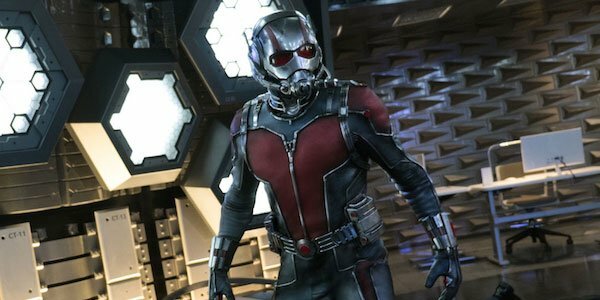 What do you think of the new Ant-Man suit? An improvement over the first one? Do you think this hints at the presence of Giant-Man? Let us know your thoughts in the comments.